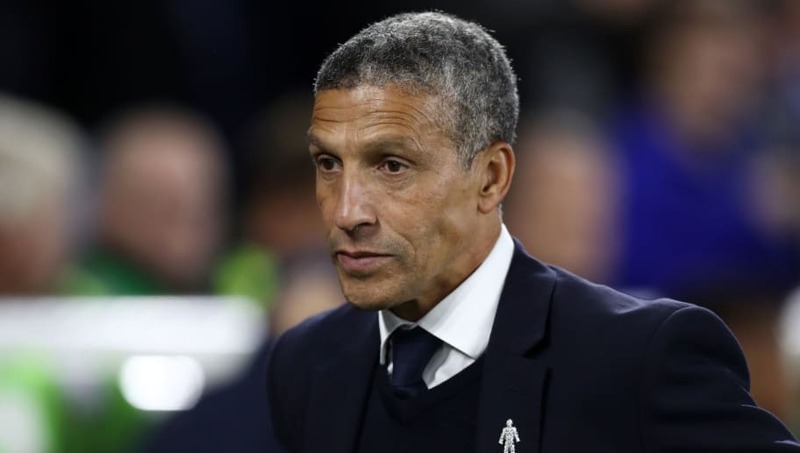 ​Brighton and Hove Albion manager Chris Hughton has praised the work rate of his players following their 1-0 victory over Newcastle United in the Premier League. Brighton profited from a scrappy goal from Beram Kayal to earn their win, but the biggest talking point from the match was a head injury suffered by star striker Glenn Murray after just eight minutes of action. The 35-year-old was stretchered off the field as his teammates looked visibly concerned for his well-being. Hughton began his post-match press conference by giving fans an update on Murray's condition. He is quoted by ​The Newcastle Chronicle as saying: "Glenn Murray is OK, he’s been discharged from hospital. He’s had everything that he’s need to have and he’s fine. It’ll be a question of recovery. "We were worried but we had no idea of any other detail. When you see the players as distressed as they were, it makes you concerned." He then went on to discuss his side's victory, adding: "We had to work really hard for it. With the way the game went we were always threatening on the break. We had arguably the best opportunities of the match. Our goalkeeper was outstanding." Hughton was also asked about the current situation at ​Newcastle United, who find themselves bottom of the ​Premier League after the defeat. Hughton, who managed the Magpies between 2008 and 2010, responded: "There have been spells like this before at Newcastle. What happened eventually was they turned it around. "One thing is that’s obviously is they have got quality on the pitch. I’d be confident that Rafa will turn it around. There’s a series of games against not the top six and not enough has been made of that. "I’m sure they will be fine." After the impressive victory over Newcastle, ​Brighton must now prepare themselves for ​Wolverhampton Wanderers, who will make the trip to the Amex Stadium in the next round of the Premier League.